Home > Dog Training > What is Clicker Training? In the realm of dog training, two distinct camps exists, namely the ‘Traditional” and the “Positive Reinforcement” camps. “Traditional” dog training has been around for decades, possibly even centuries whereas training based on Positive Reinforcement and canine behavioural science is relatively new and has only gotten exposure and traction in the last 25 years. Positive reinforcement dog training have achieved astounding results all over the world, including Singapore. Behaviours and achievements in dog sports that took months or years to achieve using Traditional methods have recently been accomplished by skilled positive trainers in weeks. 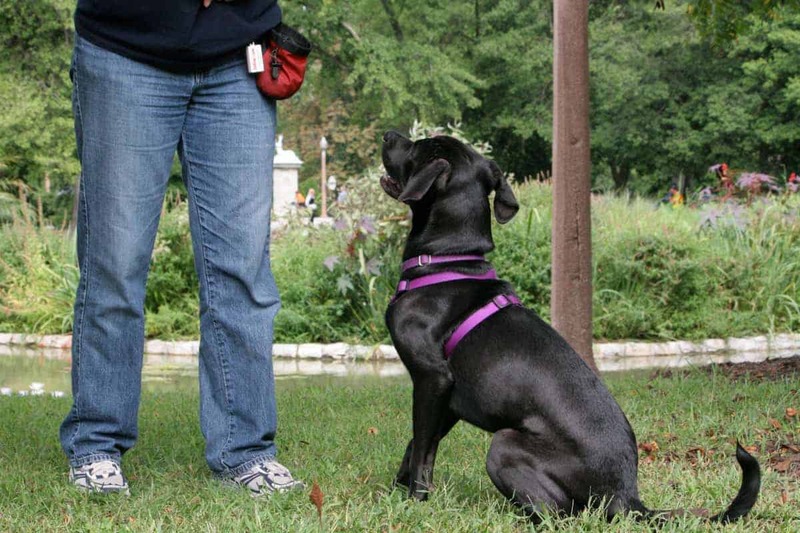 Clicker training is a one of several positive reinforcement training techniques that you can use with your dog. A clicker is used to “mark” behaviours that we like; it helps the dog make the connection between performing a specific behaviour and getting a reward. It is also much easier to be precise with our training while using a clicker versus just verbal markers – humans talk a lot and not all of what we say is relevant to our dogs. The clicker makes a distinct noise that is only used in specific circumstances. It means only one thing to your dog: a reward is coming because of what you did when you heard the click! Where did Clicker Training come from? To get technical for a moment, clicker training grew out of B.F. Skinner’s theory of Operant Conditioning. This theory states that a behaviour that is reinforced is more likely to be repeated. For example, if a dog is given a treat every time that he sits, he will be more likely to sit in the future. Karen Pryor is another pioneer in the clicker training. She began her career by working with dolphins in the 1960s. You can’t make a dolphin do anything; what you can do, however, is mark behaviours that you like using a whistle and then reinforcing that behaviour by offering food rewards. Once the dolphins figured out that interacting with the trainer could have big payoffs, they were happy to play the game! 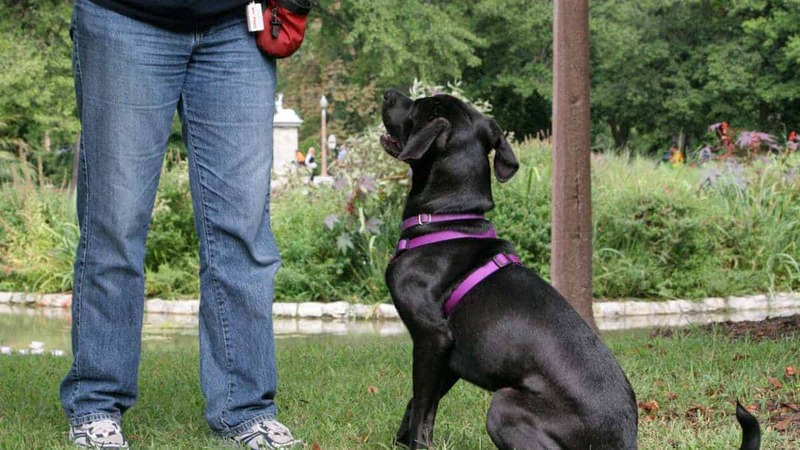 In the 1980s and 1990s, Karen brought her training methods to the world of dog training and found that dogs learned just as fast with a clicker and had some treats! Before you can start teaching your dog new behaviours with the clicker, you need to explain how it works to him. First, find a type of food reward that your dog REALLY loves! There are many choices available, so choose a variety to keep it interesting for your dog. The treats should be soft (no crunchy treats – your dog will be more interested in searching for the crumbs that doing another repetition with you!) and should be about the size of a pea for medium to large dogs and smaller for small dogs. Have a bowl of treats ready before you start training. Each click ALWAYS gets followed by a treat. Even if you clicked on accident, your dog still gets a treat! The clicker may lose its value to your dog if it’s not always paired with a treat. Timing is Important. You want to click as soon as the behaviour that you like happens. For example, if you are working on teaching your dog how to Sit, you would click as soon as his bottom touched the floor. Just Click Once. It’s easy to get really excited when your dog starts to “get it” and we want to click several times and then give the dog one treat. It can be confusing for the dog to get clicked for several different behaviours in a row and then only get one treat – which behaviour is the one that you want him to repeat? Also, Mom just clicked 5 times and only gave him 1 treat!? What gives? A better way to show your dog that you LOVE the behaviour that he just offered is to click once and then give him several treats in a row! Find a quiet place to work where your dog won’t be easily distracted. Click the clicker once and then give your dog a treat. Repeat 8-10 times until your dog is eagerly waiting for his next treat. These clicks and treats will help your dog make the association between hearing the click and getting a treat. Remember, dogs have really good hearing. You don’t need to hold the clicker right in front of his face to make sure that he hears it. Also, some dogs may be afraid of the noise of the clicker, so this is also a time to make sure that your dog is comfortable with the sound. If your dog does not like the sound of the clicker, you could still mark the behaviour with a single vocal cue like ‘yes’ or by simply snapping your fingers. Once your dog is eagerly awaiting his next click and treat, you are ready to start working on training behaviours!